It was an unsuccessful delivery so I have to get the package from the post office. This Gmarket purchase is by far the most eventful among my years of shopping online. It started with one of the items in my order sent late. Imagine this, I ordered and paid on the 28th of September but they delivered to the Gmarket warehouse only on the 7th of October. What was worse is that Gmarket did not answer my e-mails promptly, I was e-mailing and messaging them on the site almost every day but I did not get any feedback (all my e-mails were answered when the parcel was already shipped). I even messaged the seller and I was told that it was already sent to Gmarket. I never really know what happened in between. At least, I already got it, right? My total order was only USD30 + USD15 for shipping (I even incurred a negative balance on Gaccount because I have to pay shipping surcharge) + USD30 (customs duty, tax, delivery fee, and taxi to the post office). I asked the EMS guy why I have to pay those fees but he said the Customs only does random checks and I was lucky (not his word) to have my parcel checked. Anyway, enough with the ramblings. 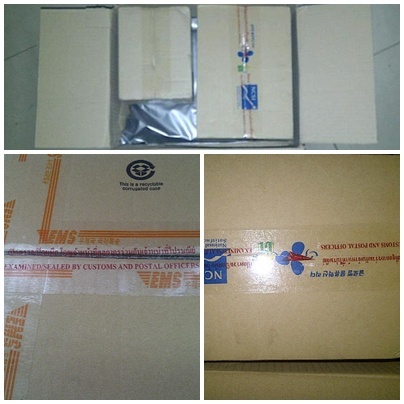 Or not… Check out the picture below and notice that the Customs opened my box and one of the boxes in the box. … a small beige bag, 4 sets of IOPE Hydro Intense Softener and Emulsion samples and 2 tubs of Secret Key Snail + EGF Repairing Gel Cream (I got this on a buy one get one free promotion). I received no freebies or gwps. Let’s take a closer look at my purchases. 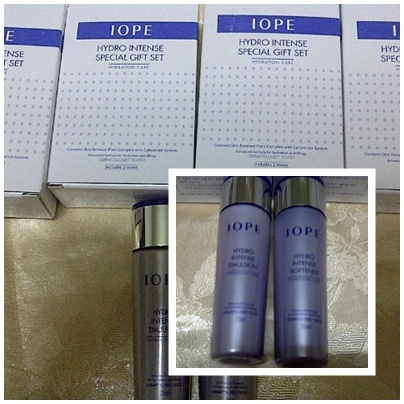 I got the IOPE samples from this seller and this is the link to the product. 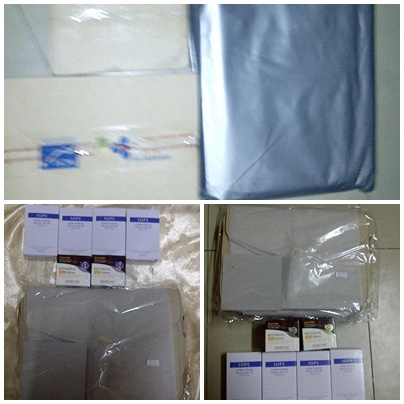 The items are in good condition but there was 1/3 empty space in the box where the four sets were kept. I have yet to test the products. You can find this product here. (I think they sell this at a cheaper price now). 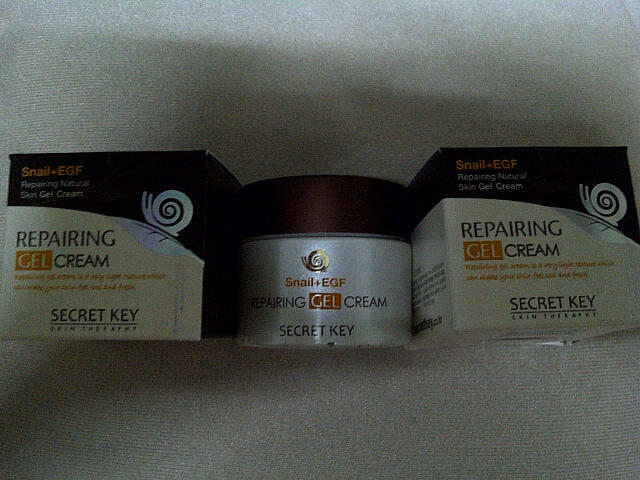 The Secret Key Snail + EGF Repairing Gel Cream was the culprit of my parcel’s late shipment. This is also the reason why my order exceeded its weight. 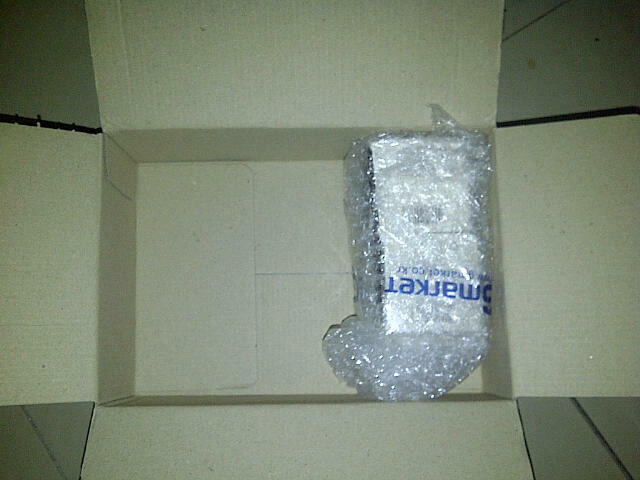 This product wasted two-thirds of the box’s space. I actually put IOPE’s box here and it fit. This box was also opened by Thailand Customs and I really wonder, up to now, what of this item made them decide to ask for customs duty and tax (Yeah, I still can’t get over the fact that I paid extra for this little haul). I have used the product for one night so I still can’t tell what effects it has on my skin. 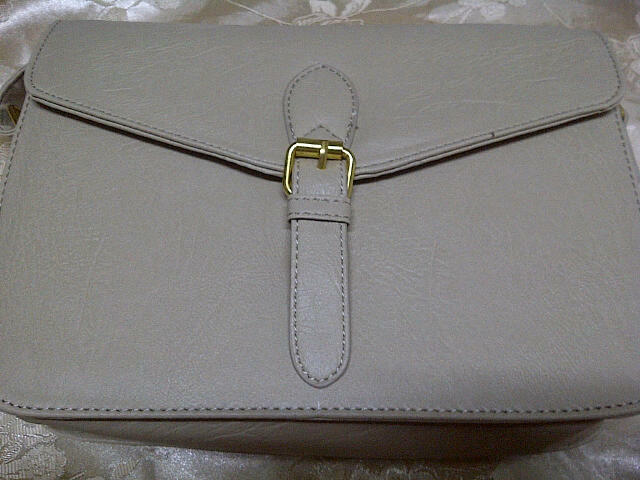 I got this bag from this seller. The bag looks alright, right? Look closely, though. 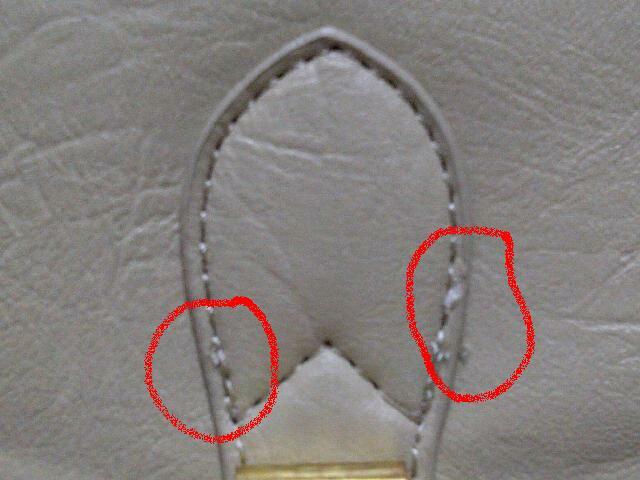 Upon close inspection in the bag’s buckle part, I noticed a tiny tear which I’m afraid might peel after some use. Some stitches are sewn messily and the buckle seems lopsided, too. This is a disappointing buy and I was really excited for this. Oh well, I got this at a cheap price but still… it’s just frustrating to receive a damaged item. So, yeah, this is the drama of this Gmarket purchase. 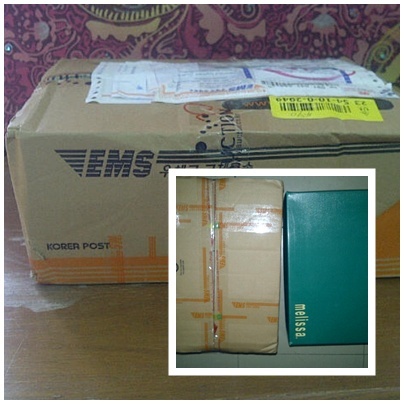 I am expecting another package arriving soon which is a bigger and heavier one. 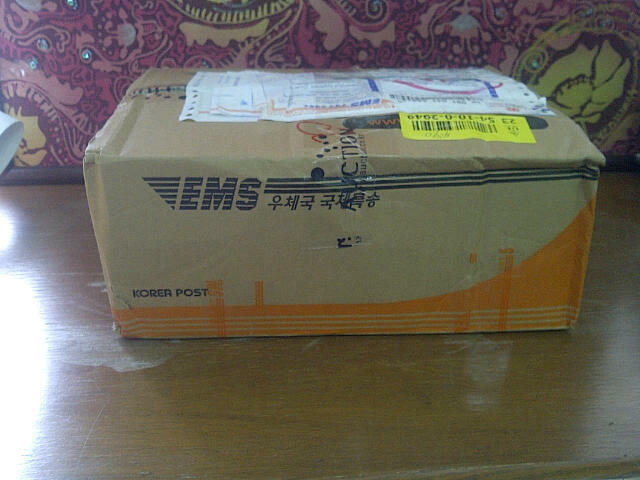 I just hope and pray that the post office won’t detain it *crossing fingers*. Anyway, albeit the drama and the extra payments, I will still continue shopping at Gmarket. I just love browsing at the site and I am tempted to buy all the time. I just hope though that everything will be a breeze and hassle-free next time. Have you shopped at Gmarket? I haven’t shopped at gmarklet but from the looks of this i don’;t think i should. and seeing your probs with them again. hmmmm. I’ve had better experience with Gmarket after that, been shopping there every month. Thai Post Office detains my package all the time though 😦 so I pay more for additional duty and tax. hmmm. maybe it’s just the law there?